WASHINGTON (WLS) -- The Food and Drug Administration has approved the first prescription drug to boost sexual desire in women, nicknamed the "little pink pill." The daily pill, called flibanserin or Addyi, claims to treat low libido in women by working with chemicals in the brain to treat Hypoactive Sexual Desire Disorder, HSDD, which affects approximately one in 10 women. 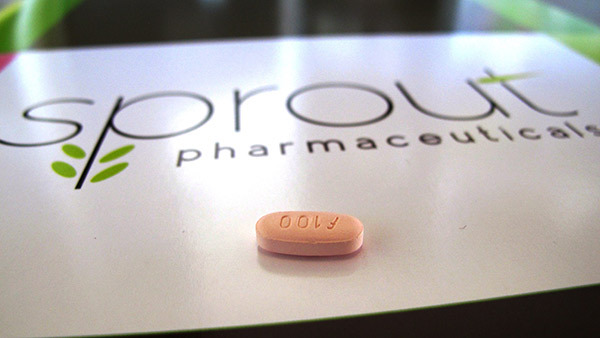 Sprout Pharmaceuticals, maker of the pill, says it will become available on Oct. 17 and will cost between $30 and $75 a month with insurance, on par with Viagra. The FDA's approval comes with heavy safety restrictions which will likely prevent Addyi from achieving the blockbuster sales of male impotence drugs like Viagra, which have generated billions of dollars. The new drug's label will carry a bold warning that combining it with alcohol can cause dangerously low blood pressure and fainting. Those problems can also occur if the drug is taken alongside certain common medications, including drugs used to treat yeast infections. The FDA has denied approval for the drug twice since 2010, citing concerns with effectiveness and safety. In June 2015, an FDA advisory panel voted in favor of the drug after hearing emotional testimony.